Introduction: The Section 44AD of the Income Tax Act contains special provisions for computing profits and gains of a business on presumptive basis. 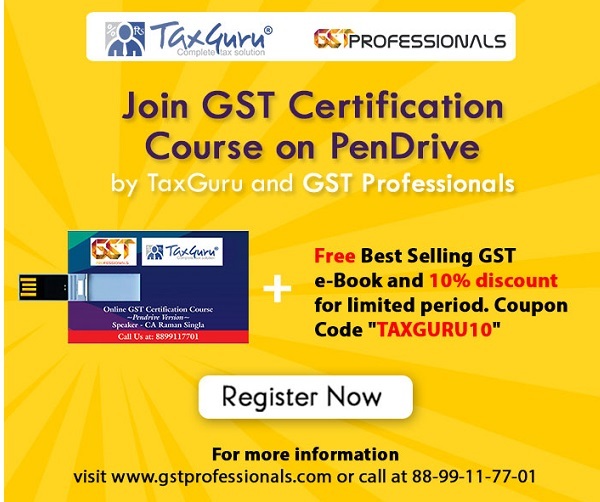 According to this section the profits and gains from eligible businesses carried by an eligible assessee are required to be computed at least at the rate of 8% / 6% of the total turnover / gross receipts. However, sub section (5) of section 44AD gives an option to the assessee to declare profit lower than 8% / 6%, by maintaining books of account etc. as required under section 44AA and by furnishing audit report as required under Section 44AB. The above sub section has been substituted by new sub-section (5) by the Finance Act, 2016, w.e.f. 1-4-2017 i.e., from Assessment Year 2017-18. After substitution of sub section (5), the legal position regarding requirement of maintaining books of account and furnishing audit report has changed significantly. (b) the total income of the assessee was more than the basic exemption limit. (b) the total income of the assessee is more than the basic exemption limit. IMPORTANT POINT : Thus, now the general requirement for books of account and audit in each and every case where the net profit is lower than 8% / 6% (total income above basic exemption limit) is no more. After amendment, the same is restricted only to the cases where sub section (4) of section 44AD is applicable (total income above basic exemption limit). Now, let us see that what are the provisions of sub section (4) and when they are applicable. (a) The business is newly started during the year . (b)The assessee and / or business has become eligible for section 44AD during the year. (c) The assessee has left section 44AD only after completing required continuous period of 6 years. (d) The provision of sub section (4) were applicable but the 5 year’s period of restriction has elapsed. (e) The eligible assessee in eligible business had not adopted presumptive basis for the Assessment Year 2016-17 (i.e, whether or not by maintaining books of account and furnishing audit report as per his liability under earlier sub section (5)). (f) The eligible assessee in eligible business has not adopted presumptive basis in any of the previous 6 assessment years (after Assessment Year 2016-17 scenario). Ist Condition :- The provisions of sub section (4) are applicable. IInd Condition :- His total income for the present year is more than Basic Exemption Limit. Both of the above conditions must met. If only one is met or both are not met then there will be no liability for accounts and audit. The assessee can offer less than 8% / 6% without account and audit liability whether his total income is below exemption limit or more than basic exemption limit. The assessee can claim less than 8% / 6% net profit without audit and accounts liability. The assessee can claim less than 8% / 6% net profit with audit and accounts liability. Here it is mentionable that not only section 44AD but Section 44AA and Section 44AB also says that the liability for books of account and audit in the case of lower profits will arise only when the above two conditions will met. DISCLAIMER : The information contained in the above article are solely for informational purpose after exercising due care. However, it does not constitute professional advice or a formal recommendation. The author do not owns any responsibility for any loss or damage caused to any person, directly or indirectly, for any action taken on the basis of the above article. I am an individual engaged in manufacturing. my turnover FY18-19 will be 1.85 CR (excluding GST) 2.18 CR (Including GST). Can i again opt for presumptive scheme under Sec 44AD? I am under this scheme since last 4 years. what about turn over limit? does 2 Cr includes GST or Excludes? Good opinion. Useful for many. One more thing to add here is that still Section 44ADA which is applicable to professionals is applied same as the older 44AD. i.e.Audit is compulsory if profit is less than 50%. It is also possible to take a view that since sub section (5) of Section 44AD is replaced with new sub section (5), now the assessee has no option to claim lower profits and gains than the profits and gains specified in sub-section (1),the option which was available to him under the old sub-section (5). Above sub Section 5 of section 44AD is not applicable to partnership Firm as there is no basic exemption limit of Total Income. It is applicable only to assessee who is Individual / propritorship Business. Firstly, assessee is required to file his or her tax returns if not filed for the assessment year in question. Assessee also has the right to request the Assessing Officer to provide separate reasons for each issue recorded. The assessee can also file a writ petition with the jurisdictional High Court, wherein the legal traits and lawfulness of the notice issued under Section 148 can be challenged even prior to the conclusion or completion of the assessment or re-assessment. The assessee can still file a writ petition with the relevant High Court, wherein the legal traits and lawfulness of the notice issued under Section 148 can be challenged even after the assessment has been completed and the matter is under appeal. File an objection to the reasons stated by the Assessing Officer requested the Assessing Officer to provide reasons for the dismissal of the assessee’s objections Challenged the lawfulness of the issuance of the notice. Assessee can also invoke provisions of Section 80 of CPC if the AO proved to be exceeding limits & actions taken are under grudge & fall within the ambit of PC Act. So, firms will have to maintain books even if they opt for 44AD. Wonderful. I was arguing with many regarding this section. Now I found an opinion which reconcile with mine. Thanks for writing this.